Listen! 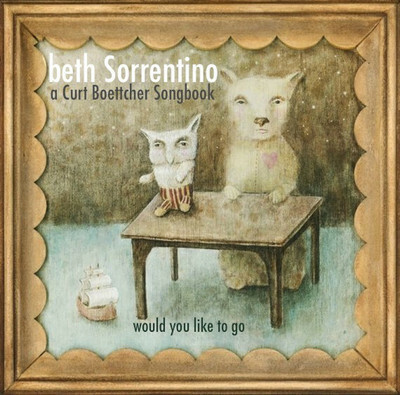 a new preview track for the forthcoming Beth Sorrentino‘s “would you like to go – a Curt Boettcher Songbook,” a collection of songs associated with the king of “Sunshine Pop” Curt Boettcher (1944-1987), along with another track ‘I’m Not Living Here’ from the album. 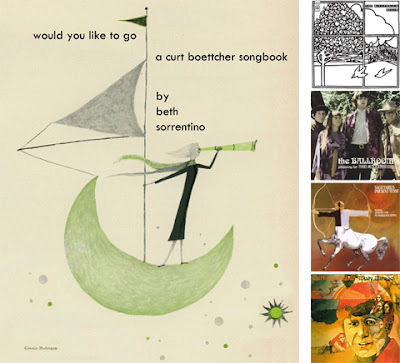 All songs originally recorded by The Millennium, The Ballroom, Sagittarius and/or Curt Boettcher (demos), 1966-1969. Producer: Sean Slade / Executive Producer: Irwin Chusid / Recorded with Jeremy Moses Curtis, Benny Grotto, Irwin Chusid. In the early 1990s, Beth Sorrentino formed the music trio, Suddenly, Tammy! with her brother Jay (drums), and high school friend Ken Heitmueller (bass).